Medical debt consolidation is a great way to help you take care of unpaid medical bills. 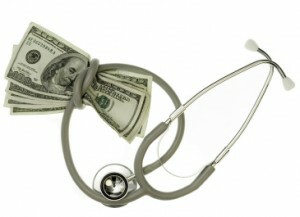 Medical debt is something that often occurs without any type of warning. The truth of the matter is that we never know when we are going to need to go to the hospital. Even with adequate medical insurance, there are occasions when your insurance will not cover everything. If you have medical debt starting to pile up, medical debt consolidation may be your best option for taking control of the situation. What is Medical Debt Consolidation? The first way that medical debt is handled is the company will determine a minimum payment that will cover all of your debts. They will then contact each creditor that you owe money to and attempt to negotiate lower interest rates. You will only be responsible for making one monthly payment to the debt consolidation company, who will in turn pay each of your creditors. Another method of medical debt consolidation is obtaining a loan that will cover all of your medical bills. This instantly gives you a single payment to focus on, allowing you to rest easy knowing that your medical bills are taken care of. Start by figuring how much exactly you owe. Get out all of your bills and add up all of your medical debts. When you contact a debt consolidation company, discuss the payment schedule and options. Make sure that there will be a single monthly payment and find out if there are any charges for making a payment late. Sometimes, if payments are late, the debt consolidation company will increase your interest rates. Ask the company if there are any administrative fees and other charges. It is not uncommon for a debt consolidation company to charge a monthly fee for handling your debts. If there are several different debt consolidation companies to choose from, compare interest rates before deciding on one. The lower the interest rates, the lower your monthly payment will be. The final step in looking over he conditions of a debt consolidation contract is determining how long it will take to pay off your debts. Knowing the life of your loan may make it easier for you to budget your finances. Payment plans – This allows you to pay a portion of your bill each month. As long as you make your monthly payments, you can avoid additional fees. Paying with cash – Some hospitals will offer discounts when bills are paid with cash. Also, it helps you keep yourself from compiling extra debt onto credit cards. Discussing costs before procedures – By discussing the price of an operation before it happens, you may be able to find lower cost alternatives. This lets the hospital know that cost is an issue for you, possibly allowing them to find other ways to cut your bills as well. Scheduling of procedures – At certain hospitals, the cost of an operation may vary depending on the day of the week and the time of day. Look into all of these factors the next time you go to the hospital to prevent future debt. These same precautions can be taken whether you are going to the hospital for a major operation or simply going for a checkup. As with a regular business, the hospital does not want to stick you with more debt than you can afford to pay. As you can see, using medical debt consolidation to help eliminate hefty medical bills can save you a lot of trouble later on. Compiling your medical bills into one monthly payment makes paying off your debts a simple process, which lets you get back into good health without having the added worry of paying enormous medical bills. Once you have taken care of your debt, remember to take precautions to avoid future debts.